I wouldn't say it went 'viral', it just got bumped in 2015.
love this thread and will offer my own story as contribution. moved out there a few years back with 5k to try to make it. floated for 6 months before i started reaching and lost it all. hit a 250-1 prop for 25$ that floated me another 6 months before i had to get a job. after a total of 1.75 years i was flat broke, with only my car to my name, sold my plasma for gas money and bounced. it was an exciting time, but way too much time in front of computers and tvs alone. knew my roll was too low to make it but i had no job or place to stay at the time so i took my half assed shot. Vegas is a fun city and has a nice mix of outdoor and nightlife stuff to do with cheap rent and booze to boot. Would recomend living there, but as far as the dream goes as many have stated before youre gonna need 6 figures a solid grasp on the sports youre wagering on and a steady head. You did great considering how underbankrolled you were. I don't want to say too much, but I will be returning to LV before the NFL season starts. Am retired, have a secure pension from NV and SSA, almost at 50K per year based upon my work and my deceased wife's tenure as a teacher. Moreover, before going in a few weeks, I secured a part time job at $5k per year for 3 months work, as I don't want to work too much at my age. I lived in LV for over 14 years during my earning years and it was very good to me and my wife as employees, but not gamblers. Unfortunately, she died there of cancer at an early age. Of course, that was in the late 80's and early 90's before all the minorities moved in. With a retirement investment account which I could live on until I'm a 100 without any pension, I think it is time to try to go back and have some fun with minimal football bets. I think this is the only way you can survive there. Any other way, I would advise against trying to make it. When I lived there, so many of my friends were in bankruptcy court. So many tried to live the dream, but they ended up broke. You don't need anywhere near six figures if you're not too proud to work a shiit job and live in a shiit apt.... If a man's not married, has no kids, isn't a degenerate fuk up, isn't a junkie in any way..... Why wouldn't he be living in Vegas? Seriously. drugs, alcahol, other games of chance that they arent so good at or the odds are completely stacked in there favor. Those who say "Move to Vegas to live the Dream" is probably going off the emotion and memories of their awesome vacation they experienced in Vegas. It's no vacation when you live there. You can't get caught up in the drinking..partying...hanging out in the casino when you live there like you do when you are on vacation for 3-4 days. Its fantasy and not reality and if you do that while you live there, Vegas will eat you up and spit you out. Too much vices in that city and 90% of us can't live there. It get's old fast. Its just like every other city when you take the strip out. Vegas is actually a real sh*th0le. The Strip is mostly expensive as hell and brimming with some very idiotic tourists. It can be good for picking up ladies if you're into that but you also have to wade through a bunch of gold diggers and lurking escorts. Go off of the Strip and you're either in a relatively seedy area or somewhere with planned neighborhoods/gated communities basically. A good portion of the people that do live here are stuck or just want to get out it seems. Not to mention, it's very uneducated. There are some perks in that everything is pretty much open 24/7, there are some really good spots to eat, housing is cheap, and there isn't any state income tax etc. etc. Then we can get to the subject of sports betting. I personally think it's nearly impossible to make much of a living doing so out here (under the table) unless you are willing to drive all around town to place bets at different places or have runners. Keep in mind though, books with the same parent company will track you so if you personally make multiple same bets at those casinos in a day, you need to space it out a good bit- or else be prepared to provide ID and SSN when cashing. Books don't like structuring and they can see it from a mile away with their systems and cameras. My personal advice: move to Mexico, open an account with Pinny, enjoy cheap living, good food, good weather, better women, avoid stress, avoid taxes, avoid crime (yes- depending on the place, Mexico is very safe). 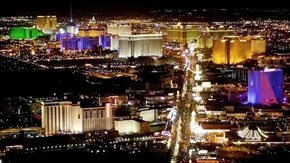 Vegas is good for 6 months or as a 2nd residence, if that's a possibility for you. That's really about it. I am curious how this one worked out. It worked out quite well. I did get a job part time with the state which helped my fixed income to the level of about 70k per year with my pensions. That said, I guess I have financial security and several days per week to go hiking and travel around the area which is great. I have never gone to the Strip except once when a girl and I had a drink for $32. So nobody here goes to the Strip, but when we bet we use betting apps. I bet very few games, mostly college football, some NFL, and Canadian Football. This is mostly for fun, but I am 3-0 with the CFL up $1500 ($500 per bet). I think more money can be made with the stock market. Bought a home which is going up about 5000 per month. Check Zillow, if this continues I will sell out like I did with my home in Florida when it when it up 350%. Who the hell wouldn't take the profit. I can always go back to Texas, though I hate to leave this area since California, Arizona (my favorite) and Utah are so close. Originally Posted by Beergut] I am curious how this one worked out. Thanks for the update. Glad everything went well for you. I think the big difference for you as opposed to so many others is that you were retired and lived well within your means by picking and choosing when to play. Most of these young guns who tried this get involved with broads, whiskey and drugs aka College Gambler and are a train wreck sooner or later. Vegas is a place that will eat you alive if you are not wise.